Welcome to the Carnival of Space, the anniversary edition. A year ago I launched the first Carnival of Space. It is wonderful, and a bit overwhelming, to see how the carnival has grown. Fraser Cain of Universe Today has done a wonderful job in keeping the carnival going. 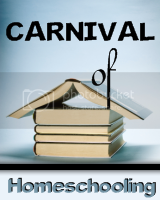 I am grateful for the chance to host the first anniversary edition of the carnival. The theme for this carnival will be space related television shows. These television shows have helped to generate and build interest for going into space. My Favorite Martian was the story of an alien who lives on earth. From 1963 to 1968 each week we peaked into the life of an "advanced" life form struggling to survive in Los Angeles. Like TV shows, Jim Plaxco explains how Art helps in the Promotion of Space Exploration at his blog Artsnova Digital Art and Space. Hawking Science for the Kids at Music of the Spheres shows how Stephen Hawking is doing his part to promote space in a recent book Stephen wrote with his daughter. Now a Martian would have a harder time getting to Los Angeles, there is much debris orbiting the earth. The Orbiting Frog shows how China has made the problem much worse in China Satellite Debris in Google Earth. 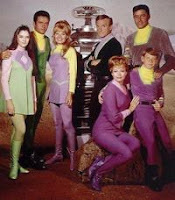 Lost in Space was one of the first television shows to take place in space. This campy show ran from 1965 to 1968. It is one of the few shows with a family in space. It seemed like every episode had the robot yelling "Danger Will Robinson." Ian O'Neill explains a recent event in our sun: Solar Flare, CME and Tsunami Generated by a “Blank Sun”. Anyone want to say "Danger Will Robinson?" At the Bad Astronomy Blog is a video explaining What does a nebula look like up close? You could be lost in a nebula and not even see it. The 1960s had mostly intact families. Many shows today have divorced families. My Dark Sky reviews an ugly divorce in astroNOMY & astroLOGY - The Divorce. In the late 1960s the groundwork was laid for a collaborative effort between the US and the USSR. David S. F. Portree gives us a great summary in Skylab-Salyut space laboratory (1972) at his blog Altair VI. 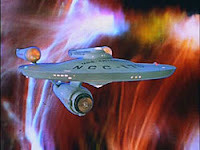 Star Trek probably did more than any other show in capturing the imagination and generating interest about space. The original series ran from 1966 to 1969. The Starship Enterprise zipped around the universe using a warp engine. At the Next Big Future is the low down on two methods being developed now to zip around our solar system in Vasimr 200KW almost flight ready in 2008 and the solar electric sail like a Dandelion seed. Bigelow Aerospace is working hard to build rockets to get into space. P. J. Blount has a nice Interview with Mike Gold, Corporate Counsel, Bigelow Aerospace at Res Communis, a blog on the legal aspects of human activities using aerospace technologies. Captain Kirk proclaimed the five year mission as going where no man had gone before. In stars like dust Steinn Sigurdsson, of Dynamics of Cats, uses a telescope to show us the globular cluster Omega Centauri. Ryan Anderson has the latest on the Opportunity robot on Mars from The Martian Chronicles. Will Gater is excited about the Hubble’s magnificent mergers which show pictures of galaxies merger. He shares some beautiful pictures. Bill Dunford of Riding With Robots condenses Two Years of his pictures into a three minute video. Stuart Atkinson of Cumbrian Sky doesn't just want to look at far away places. He wants to follow in Captain Kirk's footsteps. He wants to go to Mars and explains in "The End of Exile?" (part 1 and part 2) why we need to get off this planet to travel into the great beyond. A strong scientific background was not requirement for producing television shows about space. 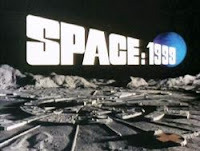 For example Space 1999 had a premise of a nuclear explosion knocking the moon out of orbit and sending it through space. Those on the moon base survived for two seasons, from 1975 to 1977. Our space bloggers are much better grounded in science. Dr. Lemming works through some of the numbers in calculating the age of the earth in 92Nb in meteorite accessory phases at the the Lounge of the Lab Lemming. On a much grander scale, Dr. Pamela Gay, the Star Stryder, explains the current understanding of the age of clusters and the universe in The Middle Ages: Globular Clusters. Maybe I shouldn't be so quick to say Space 1999 was based on bad science. Starts with a Bang! reveals that astronomers have found a Black Hole may have been kicked out of a galaxy! 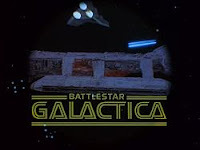 Battlestar Galactica is one of the few franchised space television shows. Humans were chased across the galaxy by the Cylons. The original series ran in 1978 and 1980. Often Battlestar Galactica would arrive at habitable planets. Scientific Savvy by Missy Frye reminds us that asteroids are also very interesting. From The Planetary Society Blog Emily Lakdawalla answers the question Where are all the women? explaining why the features of Mercury have so few with names of women. Amanda Bauer, the Astropixie, shares some fantastic pictures of saturn and iapetus. At wanderingspace are some cool Wallpaper of Io’s Prometheus Volcano courtesy of Jason Perry from The Gish Bar Times. Darnell Clayton makes a strong argument to Conquering The Frozen Frontier (Kuiper Belt Objects) at his blog Colony Worlds. Babylon 5 was another cool show. The space station Babylon 5 was "our last best hope" for peace. The show ran from 1993 to 1998. One of the cool things about many television shows taking place in space was all the cool aliens. In The ‘Great Filter’ Tackles Fermi at Centauri Dreams is an explanation by Nick Bostrom on why he hopes there is no other life in our galaxy. The Lunar and Planetary Institute has some more space resources including Moon Trip: A Personal Account of the Apollo Program and its Science. With all the cool technology we now have to looking into the universe Ian Musgrave explains how and why we should learn to Sketch Stars from his Astroblog. collectSpace has the latest on Hall of Fame to induct Mir, Hubble, ISS and space shuttle astronauts. The RLV and Space Transport News has a report on cool possible business in space: Celestis Mission Update. Titan Launch Pad Tower Blown Up at Cape Canaveral (Gallery) from Universe Today is both cool, and a bit sad. The cinema has also produced some great stories in space. A Babe In the Universe reminds us that April is the 40th birthday of 2001: A SPACE ODYSSEY. There you have it, the anniversary edition of the Carnival of Space. I hope you have enjoyed the walk through memory lane through some of the space television shows produced over the years. If you enjoyed the carnival, please help promote it. If you'd like to see the old carnivals, or learn how to participate in future carnivals, go here. A great big thanks to all who have helped build the Carnival of Space over the last year. I am looking forward to another great year. Good job Henry. You might want to check your email for more entries, particularly if you have a Yahoo mail account - quite often carnival entries get marked as spam and sent to the bulk mail folder. Thanks for hosting a great Carnival; you might want to consider posting a link to digg so that we can try to popularize it! Hey Henry! Great job, superb CoS edition. Congrats on the one-year birthday! Apropos your comment about Lost in Space being one of the first TV shows, it is not quite true. Yes, I'm pettifogging, and giving away my age, but the granddaddies of space shows on TV are Captain Video (which had a secondary character who went on to become Lt. Carpenter on McHale's Navy, Bob Hastings), and Tom Corbett, Space Cadet. Of course, I was a "wee young 'un" at the time, and barely remember the shows, but there was a lot of the usual faire along the way. I was sad to read that much of the film was destroyed.